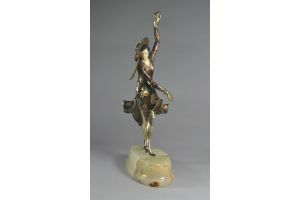 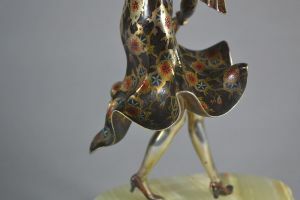 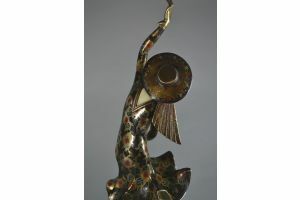 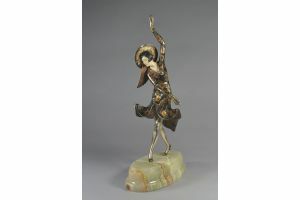 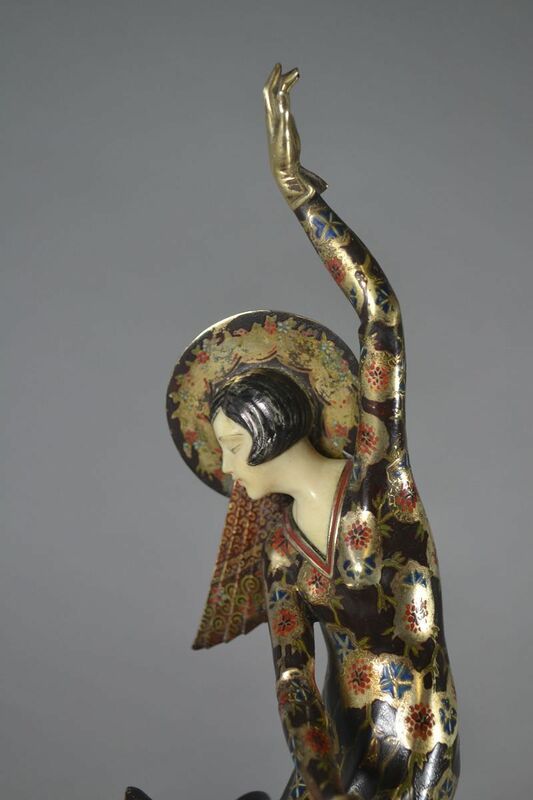 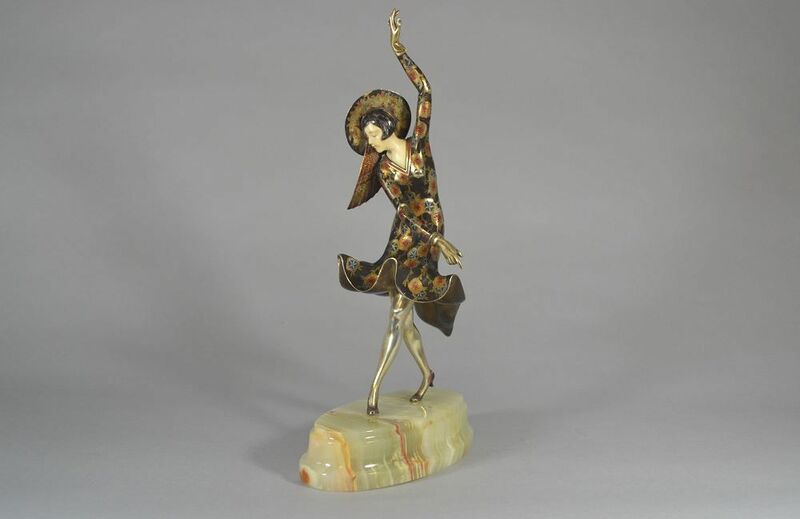 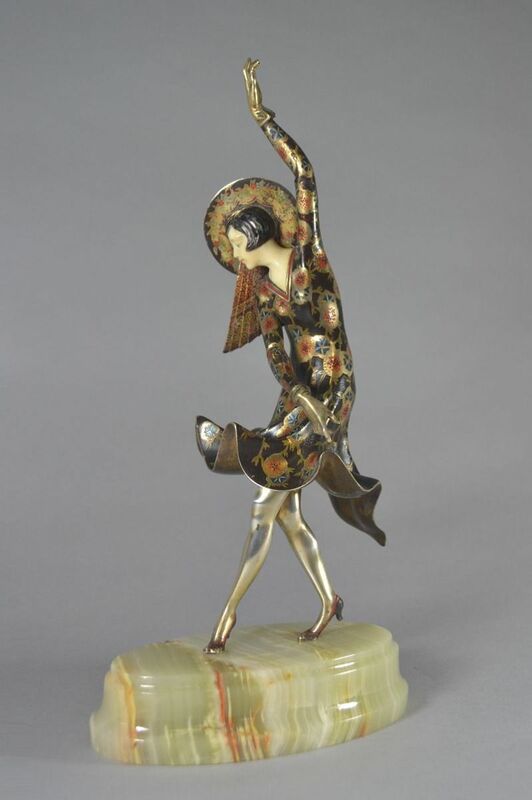 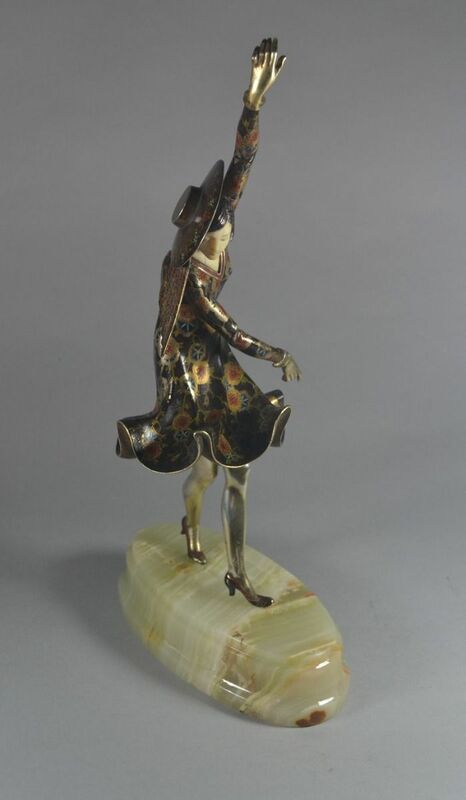 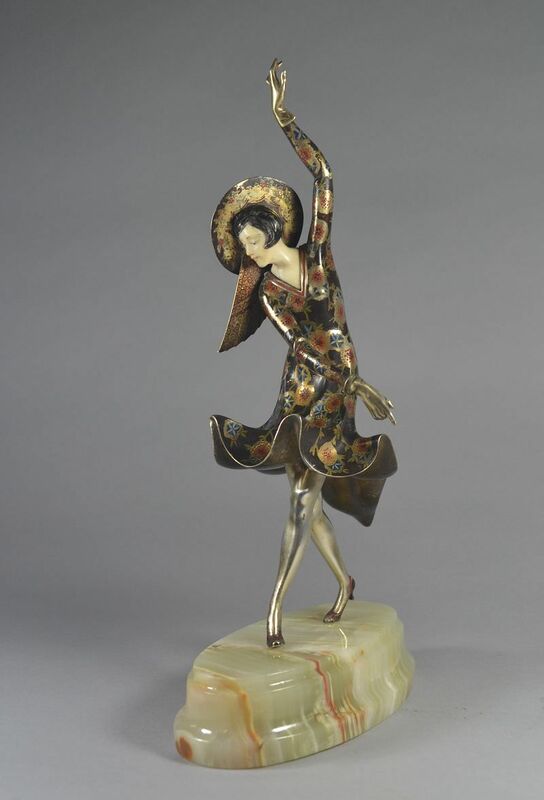 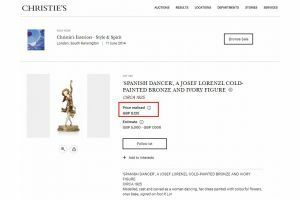 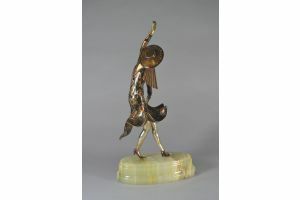 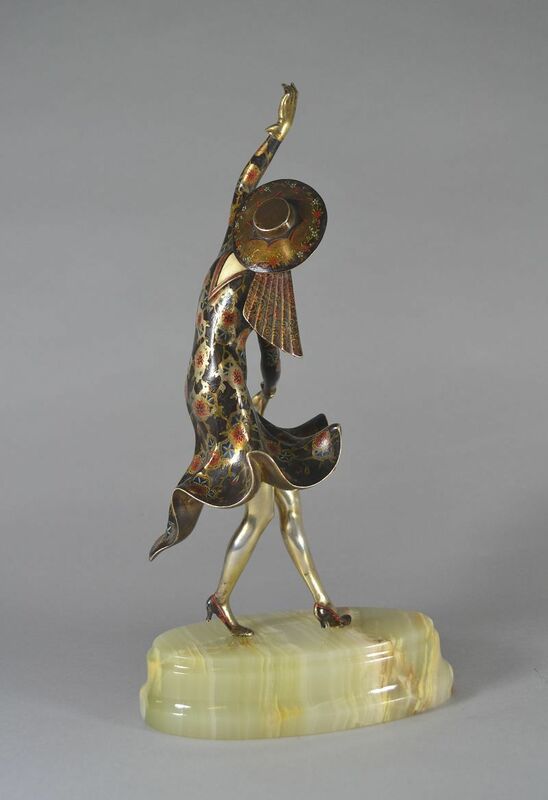 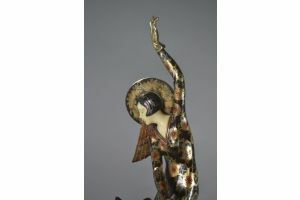 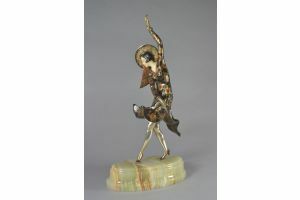 A rare art deco cold painted bronze figure of a Spanish dancer. 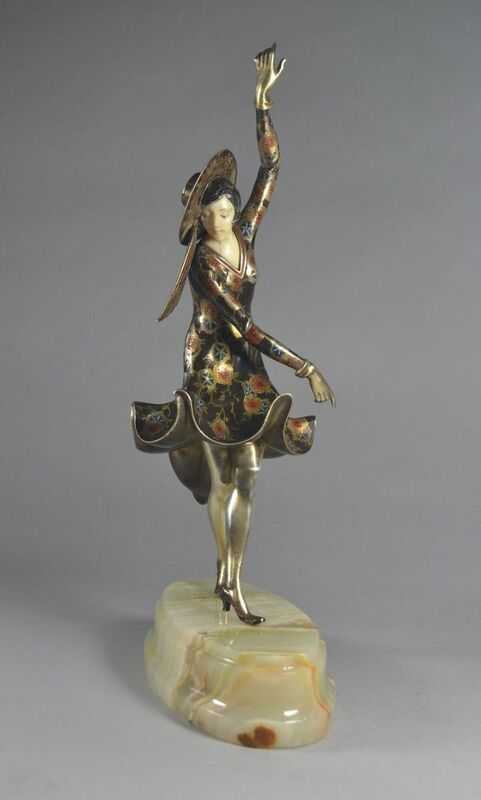 Fantastic patina on the dress and hat. 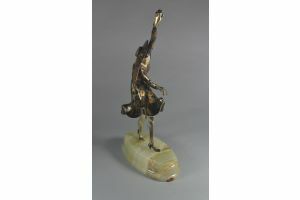 High quality carving for Ivory. 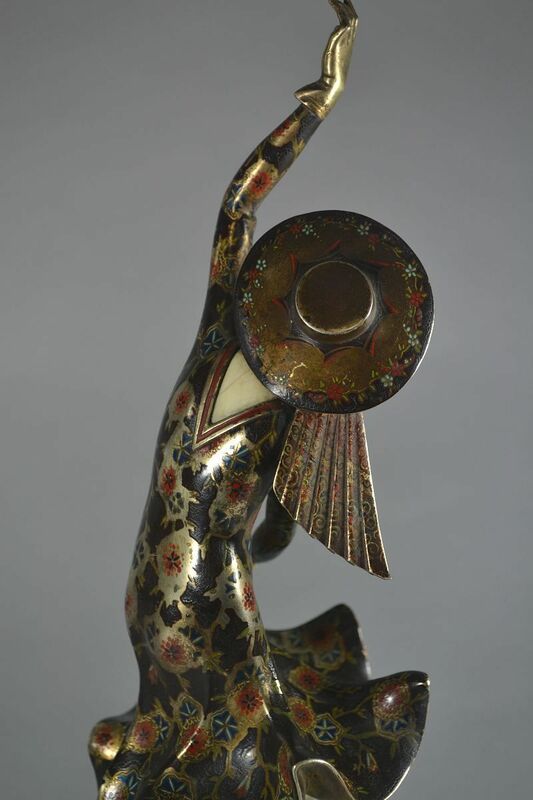 Very uncommon piece on the market. 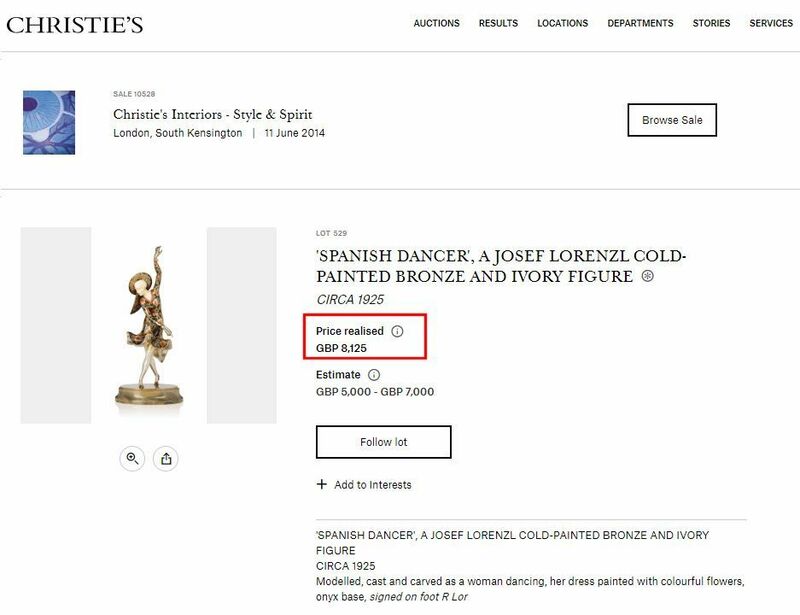 Last one, not in so good condition, auctioned at Christies in 2014 sold for 8125GBP = 9000eur.